Narendra ( Age 34 years) is the only bread earner of his family and son of poor farmer. 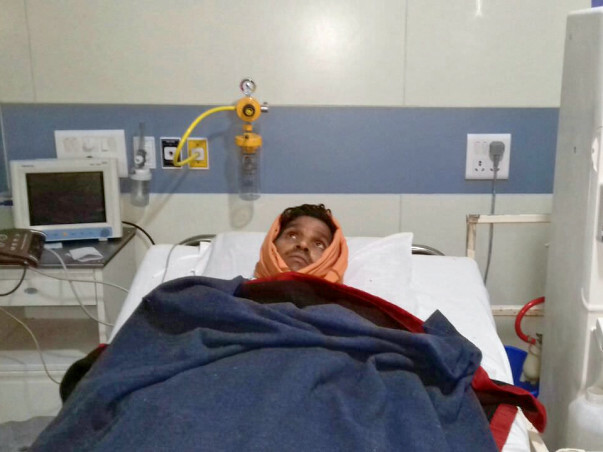 He is currently suffering from chronic kidney desease which resulted in failure of his both of the Kidney and is admitted in Aurobindo Hospital in Indore and fighting for his life. 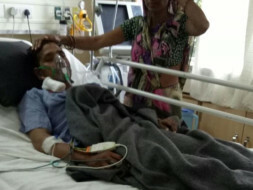 Doctor says his condition is very critical and require urgent kidney Transplant operation to save his life. Narendra is father of two small child and is surviving on limited agricultural produce from his small farm land along with his wife and old parents. 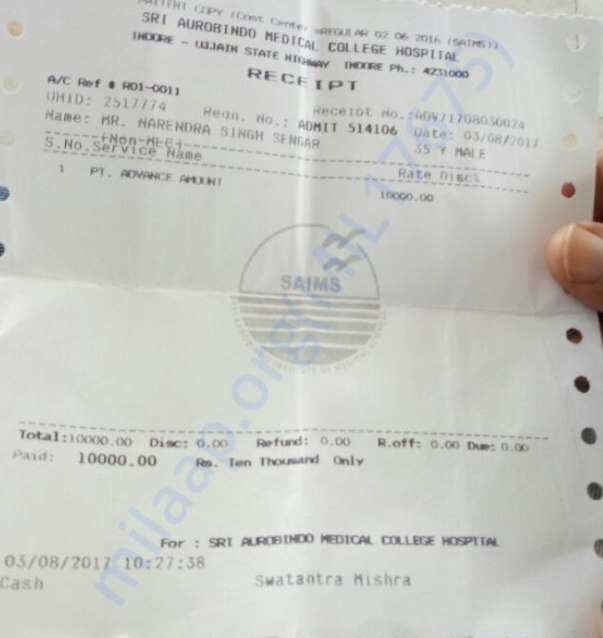 For saving his life , doctor suggested a temporary treatment of Hemodylasis , medicines and AV fistula surgery on urgent basis to buy some time for his final kidney transplant from future donor and for that total expenses of Rs 200000/- required on immediate basis. Narendra 's family is so poor that they are struggling hard to arrange this fund but could not succeeded yet even after selling some piece of land and their belonging and therefore he is currently on mercy of fate and fighting for his life, This compaign is human attempt to save his life by arranging fund for his treatment through crowd funding. Please help him to save not only his life but also save lives of his poor family from shattering. A emotional appeal to all to help him with your kind donation on time and participate in this compaign by spreading this to your family members and friends. To save a human life is the biggest dharma of all. 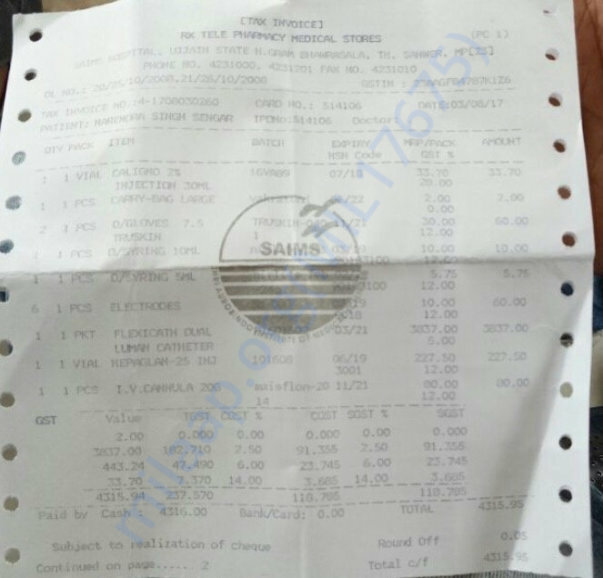 Certificate from AuroBindo hospital alongwith bills are attached for your ready reference supporting his genuine case of urgency. Please help us to spread the message to all . 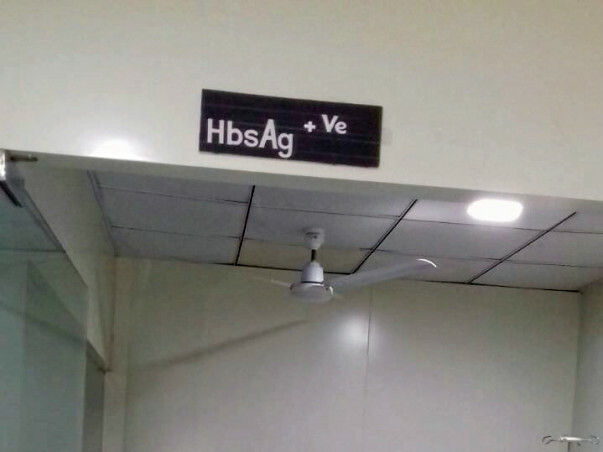 Farmer Narendra is still struggling to meet expenses of his regular haemodylasis done 2 times in a week till the time of permanent kidney transplant. He has recently lost his father who could not bear the trauma of seing his poor son's life drifting inch by inch towards death. We all try to collect some fund by all means including Milaap crowd funding platform to meet his final operation cost of 6-8 lakh around . He has tried to sell his only piece of land to buy more time but no buyers are coming forward to help him. Please share the campaign and help him raise funds. Thank you all for your generous support to this cause of saving the life of a poor farmer. He has now moved to his home after his Fistula surgery required for hemodialysis through veins located in hand. Before this, he has undergone emergency dialysis through the vein located in the neck as there was very less blood present in his hand and not suitable for initial dialysis. He had gone through several panic attack during that process. He is now better. Now he has to go for hemodialysis 3 times in a week. 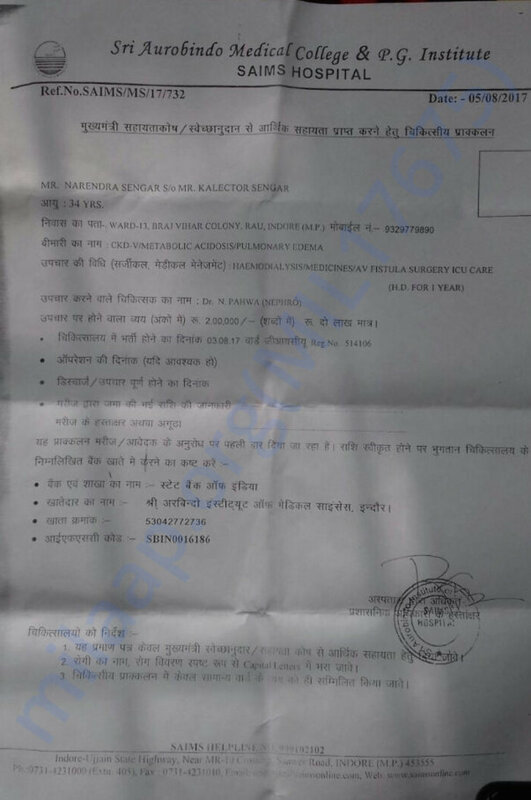 All donated fund shall be very helpful for him to keep him alive through dialysis till he can get a kidney transplant. Therefore, please share this campaign as much as you can to your friends and family who can help him anyway to save the life of this poor farmer. My father suffered from kidney failure. He passed away 17 years back. I wish no one suffer from this disease. God bless u. I pray u recover from this dreadful disease very soon.